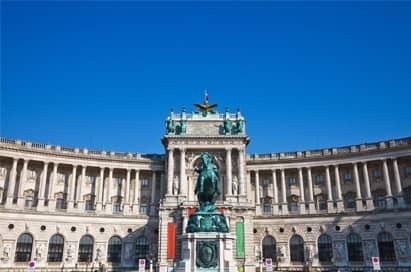 From the capital of a huge Empire to a small troubled nation state, from its Nazi past to its role in the Cold War, Vienna bears witness to many major 20th century history themes. 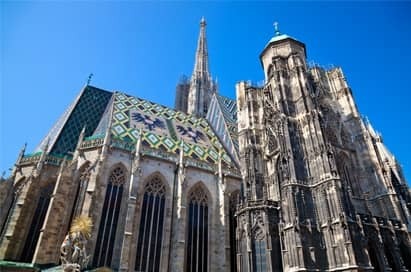 Vienna is a city steeped in a rich historical and vibrant history. 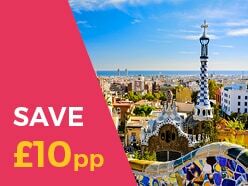 A school trip to this beautiful and fascinating city will help to bring learning to life for your pupils. 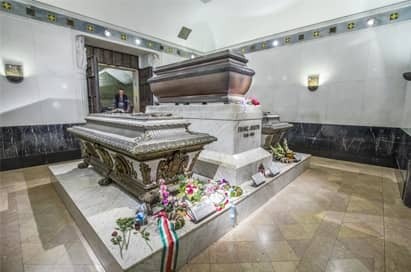 We can create a study tour itinerary to suit the needs of your group and to include a range of interesting educational visits that showcase the history of Austria. Vienna is undoubtedly an excellent destination for a history school trip. 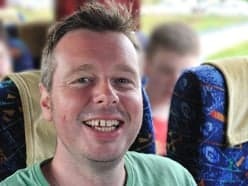 Price shown is based on 35 paying passengers departing from a London airport in November 2019 is subject to availability. 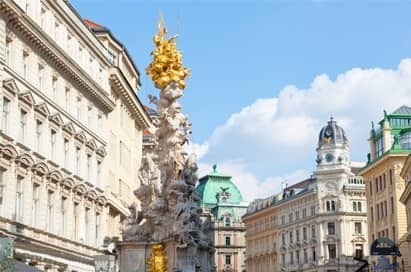 An excellent way to start your tour of Vienna, your guide will provide your group with full commentary that will introduce them to the city. 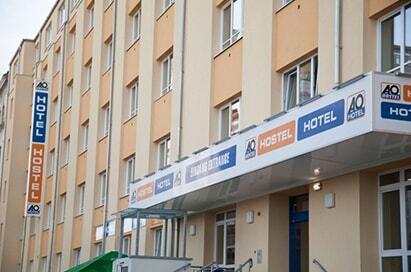 Enjoy a historic walking tour of central Vienna with your Educationist Guide. 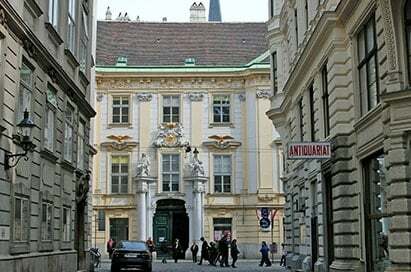 Your tour includes the Ringstrasse, the Hofburg, Heldenplatz (scene of Hitler’s Anschluss speech), the Soviet War Memorial and the Museum of Austrian Resistance. 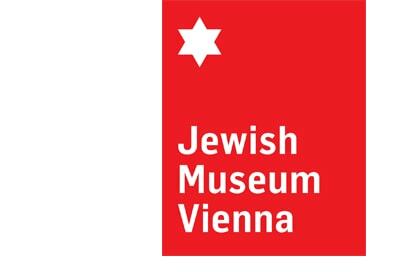 Explore the sites of the Jewish Museum including the museum itself - this intriguing museum provides an interesting picture of Jewish cultural and religious life within Vienna. In addition to permanent displays, including many religious and ceremonial items rescued from the destruction of the Kristallnacht pogrom in November 1938, its use of modern multimedia techniques also detail important figures and events in Jewish history. Take a tour of the district which suffered during Kristallnacht in 1938. Travelling by coach, groups can make the two-hour journey to visit this camp that was established August 1938 and where 100,000 people lost their lives. It was built by the SS to establish a concentration camp for men, in preparation for the impending war. 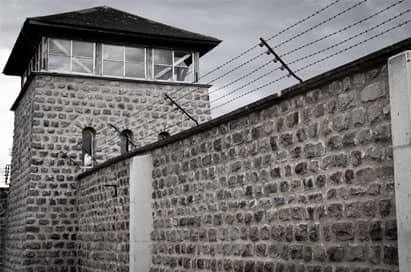 The camp fulfilled two functions: to restrain opponents of Nazism by interning, torturing and killing them and also to exploit their labour to the utmost. Mauthausen was the only category III concentration camp in Austria, the classification with the most brutal detention conditions. 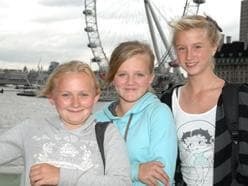 Pupils aged 14+ can either explore the memorial on their own using free audio guide systems, or a free guided tour can be arranged. 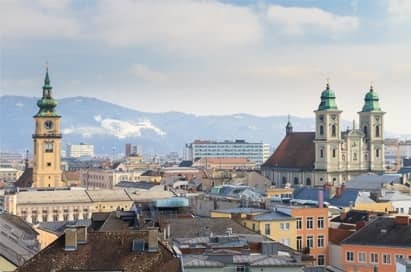 A great follow-on visit after the Mauthausen Concentration Camp - Adolf Hitler moved to the beautiful city of Linz in his childhood and spent most of his youth in the area. See some of the key sites related to Hitler, including the balcony where Hitler proclaimed the Greater German Reich. A visit to the famous Kaisergruft and the crypt, containing the tombs of most of the Hapsburg family from 1633. Excellent high class shopping areas. One needs to see beyond the usual tourist sights and the coffee and cake shops, wonderful though they are! 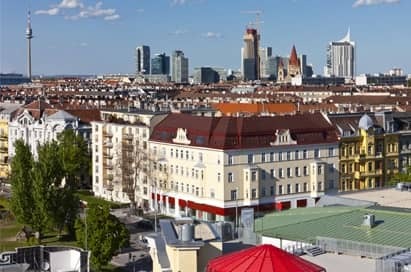 The city’s museums, galleries and sights such as the old working class Jewish district or the balcony from which Hitler gave his speech on the occasion of the Anschluss in 1938, may be used to illustrate many of the main themes of modern history.